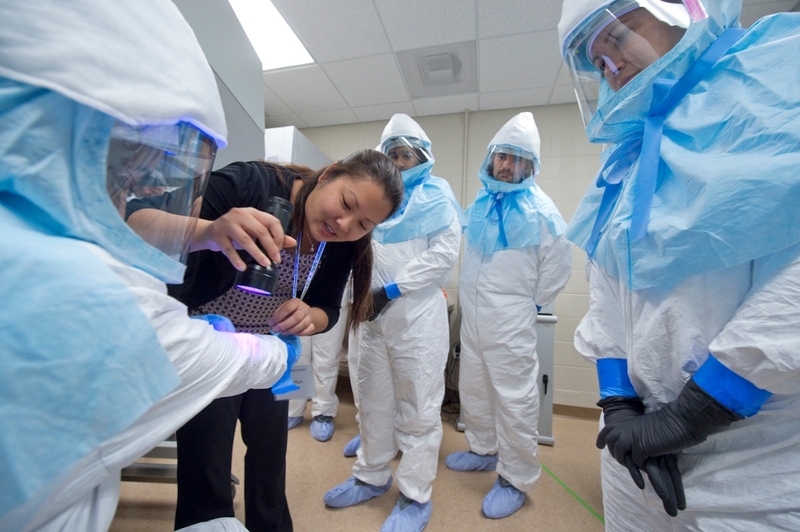 On May 9, Chancellor Gillman joined Vice Chancellor for Health Affairs Dr. Howard Federoff and NIH Division of Occupational Health and Safety Director Deborah Wilson at the opening ceremony for UCI’s high-containment biosafety level 3 training laboratory. The lab is only the third facility in the U.S. designated by the National Institutes of Health’s National Biosafety & Biocontainment Training Program to provide this high level of specialized education to research professionals. The designation is a reflection of UCI’s instrumental role as a leader in public health research and will ensure that researchers have an opportunity to receive first-class training in a safe environment. More than 1,000 people have already completed the program at UCI and taken their new expertise to federal and state government, military, and public health agency laboratories around the globe.